Say HELLO To My BFF, Ms Rosy! I don't know why, as much as I love anything that is pink and white, most of my girlfriends doesn't really fancy that. Well, that's not for long until I've met Ms Rosy! She has such flawless, fair and even-toned with a touch of rosiness, that's what we called it as rosy fairness! Now, tell me how you can stop to adore her? Let me introduce my new BFF, Ms Rosy who is a very much loveable, friendly and confident young lady! 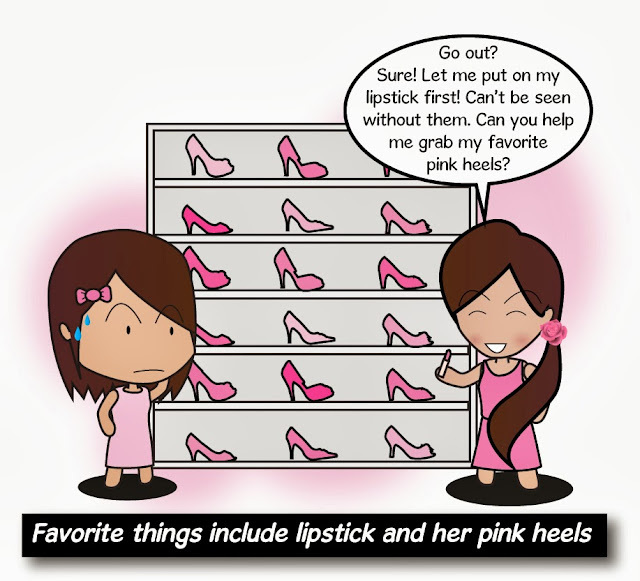 She loves make-up and fashion as well as anything that is pink and cutesy! (At this point, I know we're going to be awesome BFF as we have that mutual interest :p) Besides, she also understands the importance of good skincare and that beautiful skin stems from how well one takes care of their skin. 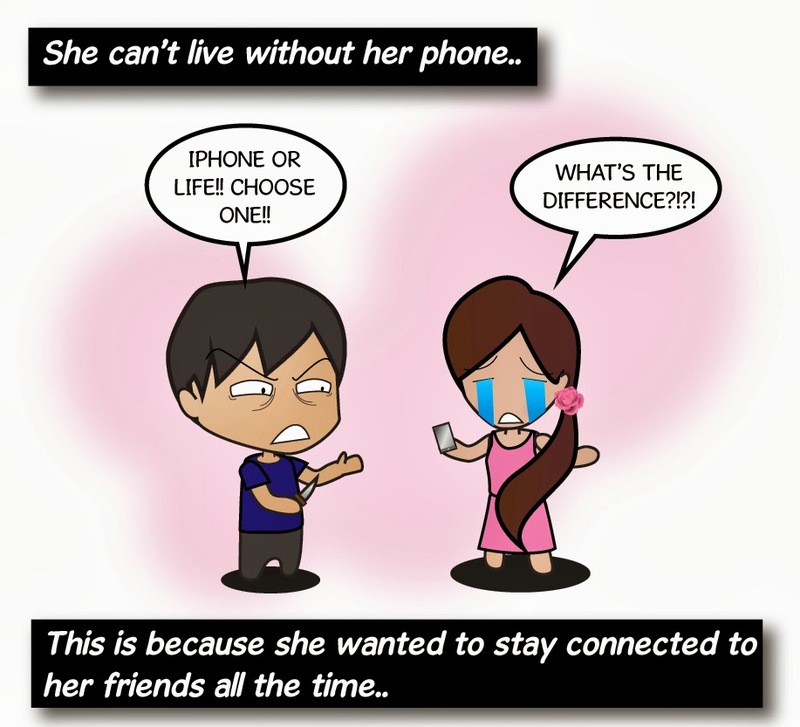 Her phone. She can't live without it as that's what she need to stay connected with all her friends and keep herself updated with the latest news! Lipstick. Sassy pink lips to match with her rosy cheek, no one can beat it! Heels. 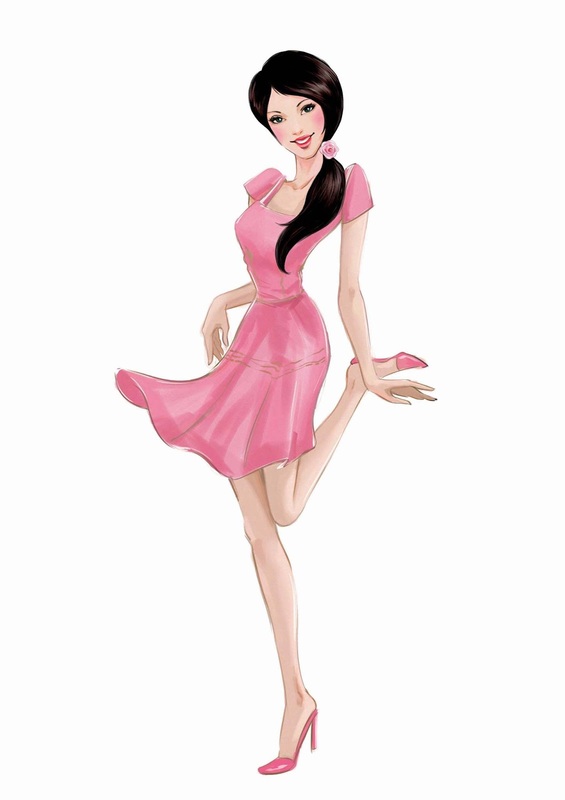 She also has her favourite pair of pink heels that she love to wear it whenever wherever. Skincare Products. 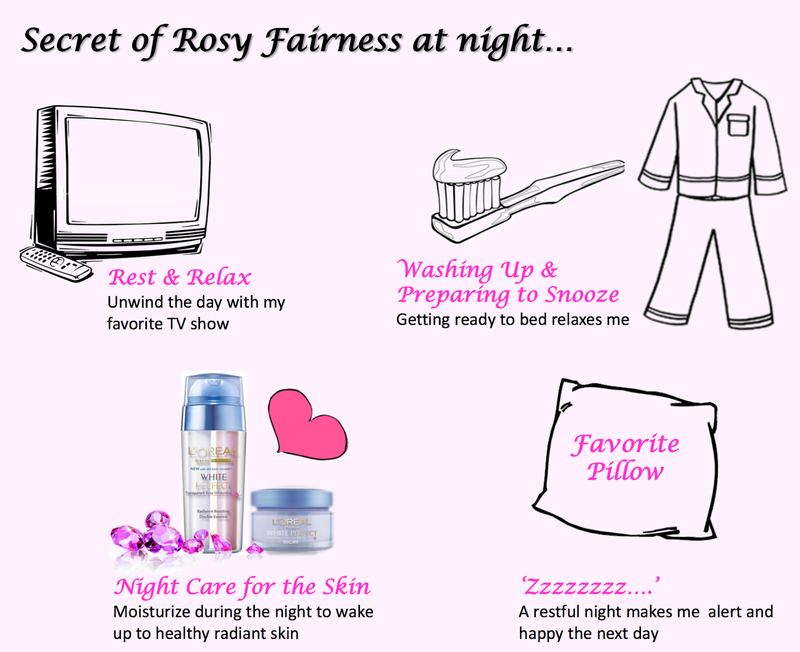 She's gonna shared her rosy fairness secret here!! You should read it on below! Apart from her busy daily life, she will never neglect her lovely family members and also her best friends! Now, who else wanna be her BFF? 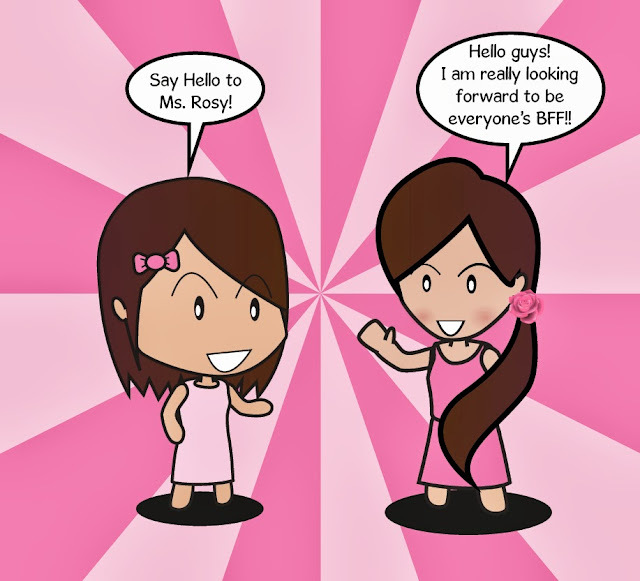 Here's come to the best part to have Ms Rosy as BFF! 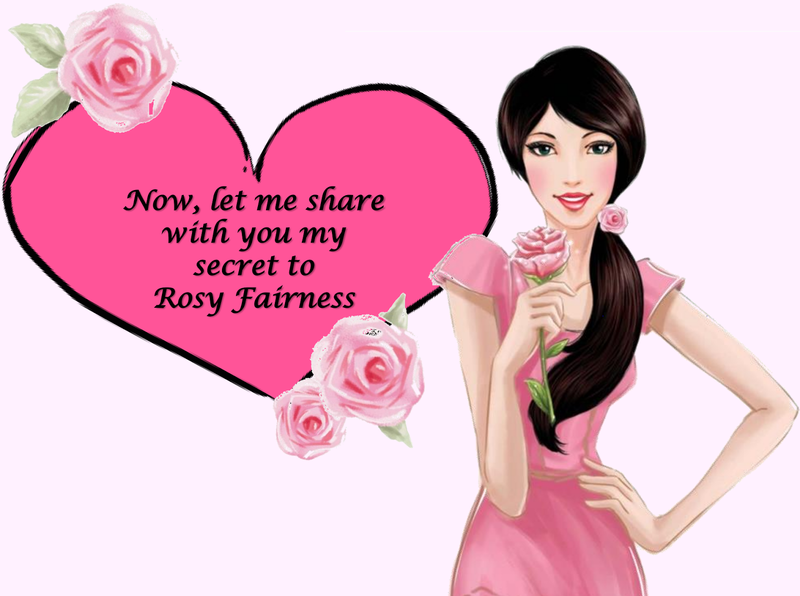 She don't mind to share her secret to achieve rosy fairness with all of you! Let's check it out together, shall we? 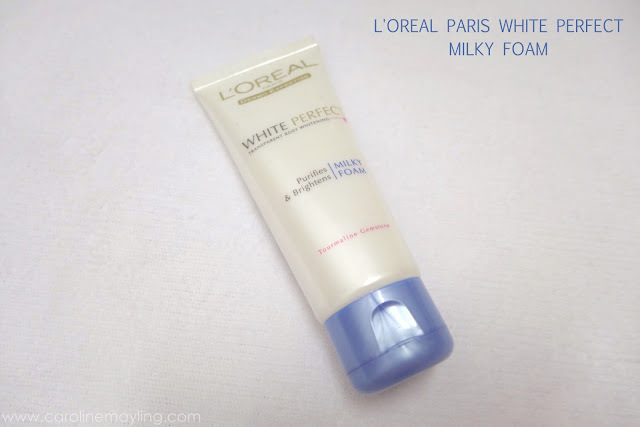 I am going to start with the L’ORÉAL PARIS WHITE PERFECT MILKY FOAM. The milky cleanser helps to thoroughly remove dirt and impurities from skin, leaving it clean and flawless. It is enhanced with ingredients like the powerful Pink Tourmaline Gemstone and Melanin Vanish™to protect against melanin synthesis. 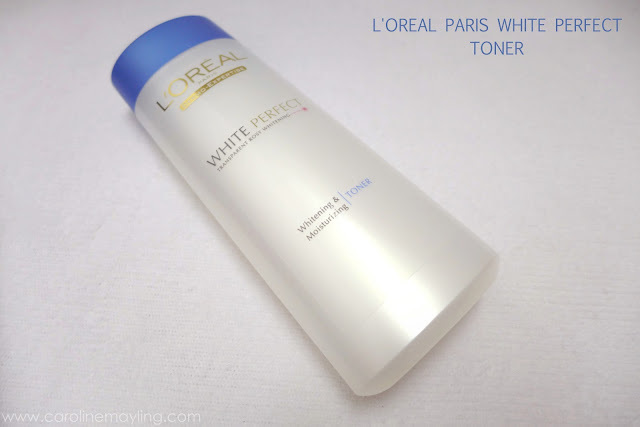 I will then use the L’ORÉAL PARIS WHITE PERFECT TONER to better prep my skin for other whitening products, this refreshing toner helps to further hydrate skin for better absorption. 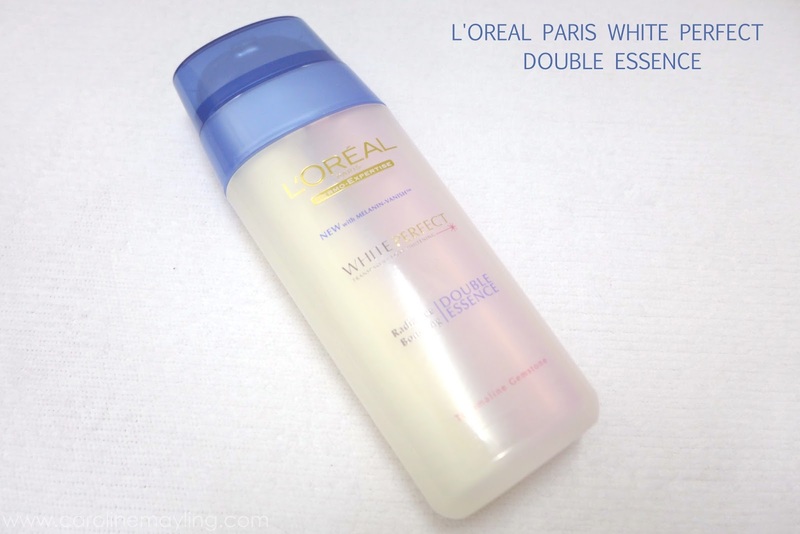 After toned my skin, I then proceed with applying the L’ORÉAL PARIS WHITE PERFECT DOUBLE ESSENCE on my skin. It is a truly innovative product, this double-action radiance-enhancing essence features the two powerful ingredients - Melanin Vanish™and Pink Tourmaline Gemstone - in an easy-to-use-pump bottle. This essence helps to lighten skin tone and fade brown spots so that skin is more even and radiant. With regular use, skin is immediately moisturise, softer, smoother, fairer and even. 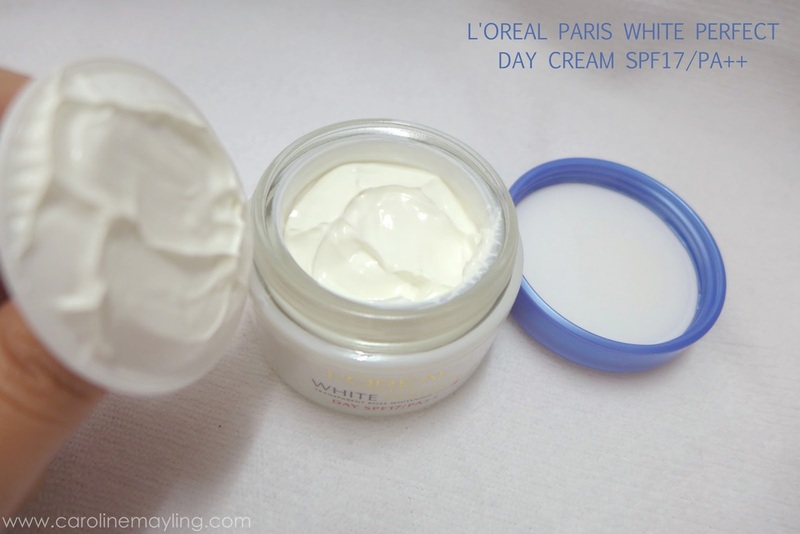 Last but not least, I will be using two different product depending on day or night time - L’ORÉAL PARIS WHITE PERFECT DAY CREAM SPF17/PA++ (for day) and L’ORÉAL PARIS WHITE PERFECT NIGHT CREAM (for night). I always love moisturiser that comes with SPF especially for day time as it helps to protect my skin against the harmful UV rays while keeping it even toned and gives your fairness with a rosy glow! 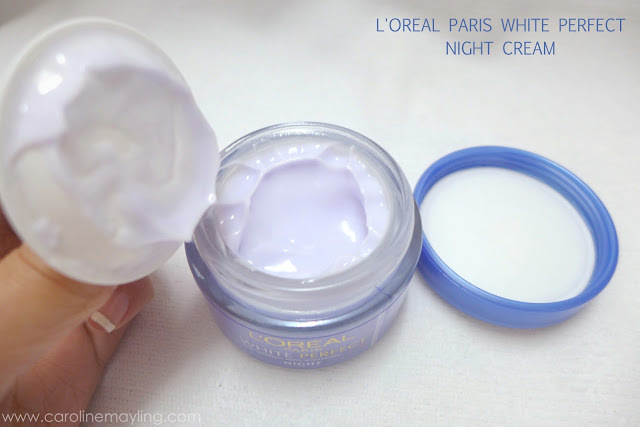 For night time, it's perfect to use the night cream for better repair and rejuvenation at night! Don't you think it's really amazing to wake up with fairer and rosier skin the next morning? THE KEY TO ACHIEVE ROSY SKIN! 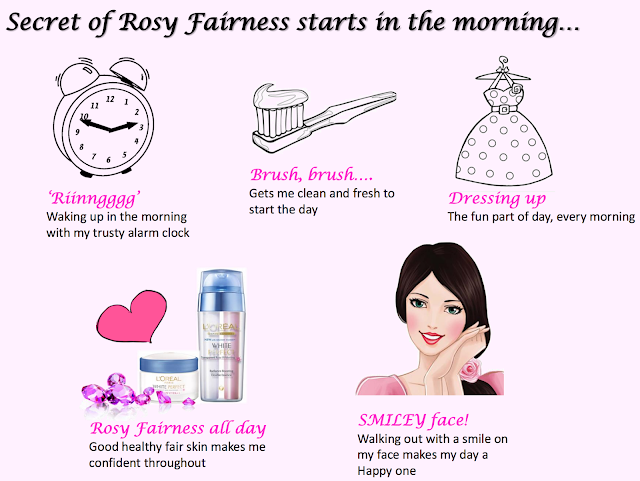 Ms Rosy has revealed her ultimate secret of the rosy fairness! What are you waiting for? 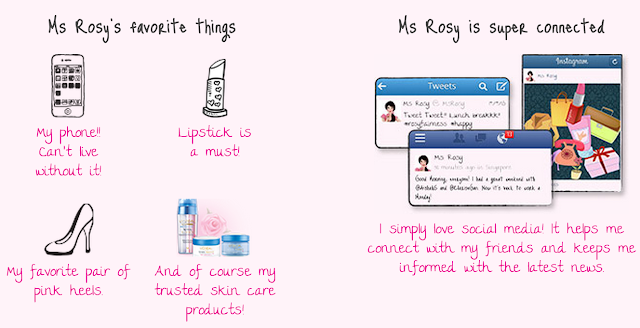 It's time to grab Ms Rosy's favourite to work on the rosy glow on yours too! If you're instagram-addict like me too, just post your best #rosyfairness pose. Do remember register your picture on L'Oreal Paris Facebook page too! 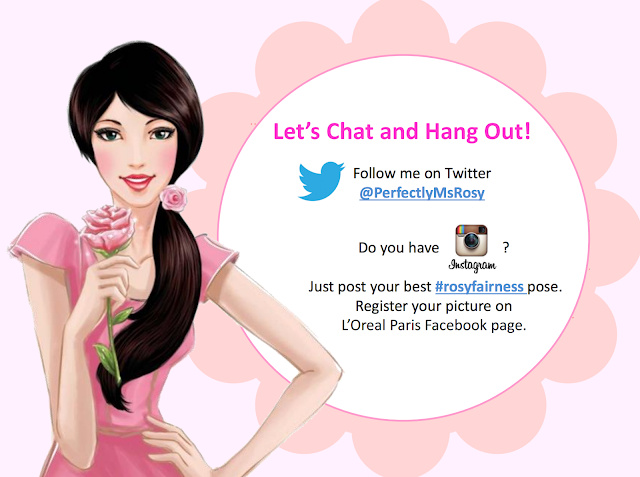 Did I mention you can chat with Ms Rosy on Facebook too? 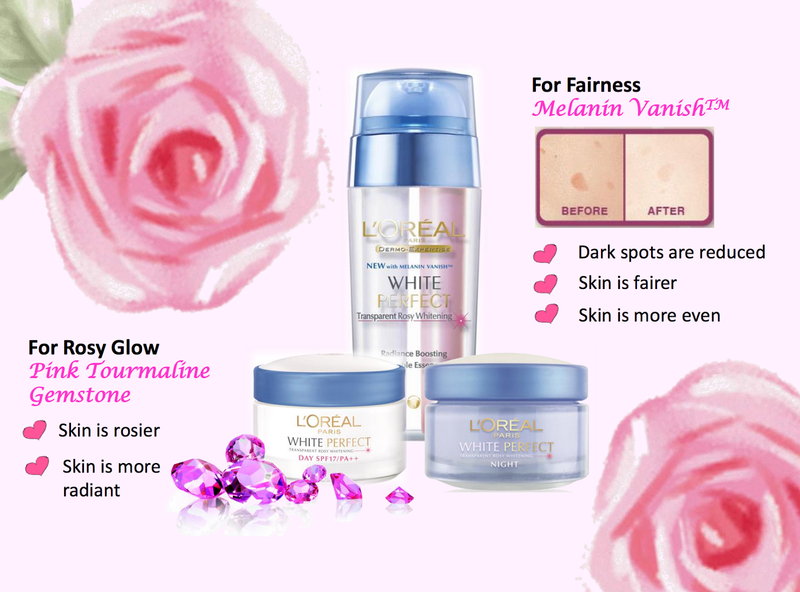 Subscribe to L'Oreal Paris Malaysia on Facebook | Follow @LOrealParisMy on Twitter | Log on to www.lorealparis.com.my for more information. Win 60 Vespas in 60 Days with DiGi! Unlimited Internet Roaming with DiGi! August Beauty Box from HiSHOP! Of Lux Fine Fragrance Workshop & Media Launch! Meet & Greet Session with Olivia Ong in Malaysia!